Research argues that brands need to be managed in such a way to make and sustain them as strong brands. Strategic brand management is the process of firstly identifying and establishing a brand position, planning and implementing a marketing program, measuring and interpreting brand performance and lastly growing and sustaining brand equity. Approximately 91% of dissatisfied customers do not wish to do business with the companies that have previously disappointed them. Out of this number, approximately 13% share their negative experiences with at least 20 other people through day-to-day conversations and social media. This makes a competitor’s dissatisfied customers a perfect target for increasing its own customer base. It is much easier to get the attention of a consumer who is actively looking for alternatives. The need is already established and all it takes is for a new company to provide a better option in order to remediate a previously bad experience. Unhappy customers also act on emotion, they are usually distraught or aggravated and will be quick to switch when they see something better. While also usually being a great source of useful information, dissatisfied consumers provide feedback on what the market wants and values, importantly what your competitors are lacking. This is useful information when deciding how to approach a new marketing strategy, or what products a company should develop in the future. An integral part of the ‘finding customers’ that can be converted strategy, is to make it easy for them to locate your company. Dissatisfied customers actively search for better options and alternatives. Businesses should invest in good online communication media, including a website that ranks well on search engines, for instance Google and Yahoo. The site should also be easy to navigate, filled with relevant content and information. Obviously you can also attract people’s attention by investing in more traditional media, such as local television commercials (budget permitting), or interesting print adverts, for instance featured reviews. Once you make your presence known through marketing mediums, your team can communicate the features and benefits of your product to your target market and competitors’ customers. You should also be aware as regards to when and importantly where people post complaints about your competitors. For instance by checking online forums that cater to your niche market, even perhaps local groups that receive specific complaints related to your industry. This could also take the form of tapping into social media sites, by searching for specific mentions made by disgruntled customers about their personal experiences, when using a product similar to your product or service. Further, brands could also visit locations of which their target market converges. Find these locations and be involved in events and activities that your target market participates in. Connect with competitors’ dissatisfied customers, in order to provide them with details on how your product can better satisfy their requirements. This is also a great way of getting ideas with regards to what a competitors weaknesses are, also what can be done to further enhance a current marketing approach. Marketing is all about convincing your potential customers that they need what you have to offer. Usually for the most part, it can be difficult to grab the attention of consumers that are bombarded with thousands of marketing communications per day. Dissatisfied customers however are far easier, they are already interested in the product or services that a company has to offer, and already know what they like and dislike. 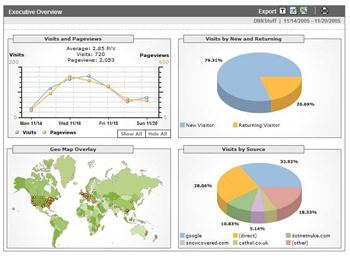 Devote some resources to monitoring competitors. This can take the form of checking on public sources such as Facebook, Twitter or blogs to get an idea of what competitors customers are complaining about. Observe how competitors deal with these complaints, to see how they can be improved upon. Use analytics and tools to identify main issues, focusing resources on how to provide better solutions to these problems. 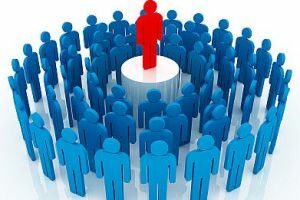 Companies should also watch out for top influencers within their industry. Certain blogs, websites, or social networking sites actively influence a substantial chunk of a target markets’ consumers. These sites may deal with product reviews, customer satisfaction, or industry updates. Creating great relationships with these influencers can potentially provide sound business results, helping to convince customers that a new company can provide better solutions to their needs. No matter how great a company thinks their product is, there is always room for improvement. Use the information gathered from monitoring competitors and work on making products or services better. If potential customers are unhappy with the customer service provided by competitors, attract them by training your front line support staff to provide not just better, but the best quality customer service available. 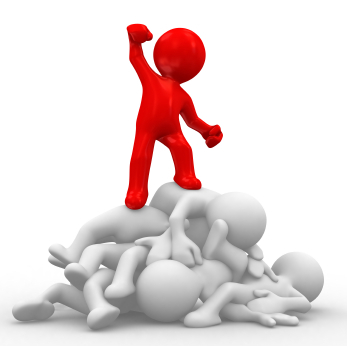 Approach prospective customers in a positive manner, for example by not insulting competitors. Begin by discussing the most common product or service errors made within the industry and discuss what strategies or improvements that your company has made to avoid the same mistakes. The ideal result being the realisation that your companies product is a better option and it better meets their requirements. Build customer loyalty by emphasising what your company can do better, not simply by bad-mouthing competitors. Customers will always find something to complain about, but they can be contented, as long as a company deliver upon what was promised. Set the correct level of expectations by making goals clear from the start, “Under promise and over deliver” so that customers are not repeatedly disappointed. 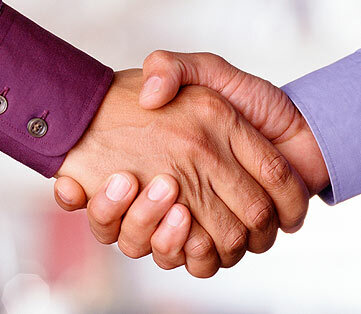 Customers who have been disgruntled with previous providers, bring with them the potential for establishing a strong and lasting business relationship with a new company, make that company your own. It is important for brands to create a method of identifying where to find unfulfilled customers and how attract them in order for them to try out a better offer, make that your offer. Process improvement should not be underestimated; companies should always be willing to invest in product upgrades that will meet customers’ expectations and needs. 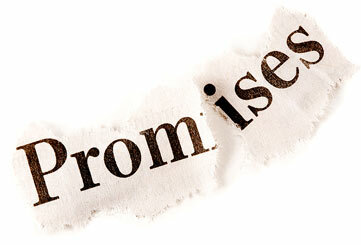 Deliver on what has been promised and only promise what can be delivered. 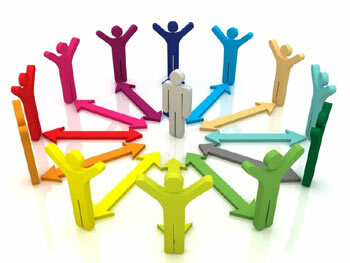 Companies that are able to attract the dissatisfied customers of their competitors, will have a great opportunity to grow their own number of loyal customers, particularity more efficiently in comparison to those who target people who have not yet decided to use a product or service. All brand namers and copywriters have their own set of beliefs when creating a brand name. I give you my 7, as Al Ries would say – “violate them at your own risk”. In the era of war between millions of brands trying to grab your attention, mouth to mouth advertising has become effective like never before. When your loyal client’s mouth speaks to your potential client’s ears, make sure your brand name will be spelled right by the latter. Don’t complicate things. If you have a Marketing degree, odds are you already know that branding is all about making it easier for consumers. Just like complicated advertising messages never work, the same is true with complicated names. This rule probably doesn’t apply to companies owned by Yahoo, like Flickr. Again, to make it easier, all your consumers should read and say your brand name the same way. There are many company names spelled differently around the globe. Even great brands like Porsche, Nordsee and Esprit can be stated as examples. This usually happens when a language different from English is used. Have in mind that English is the planet Earth’s official language today. This year, Esprit Holdings are closing all their stores in North America, because they have been losing money. 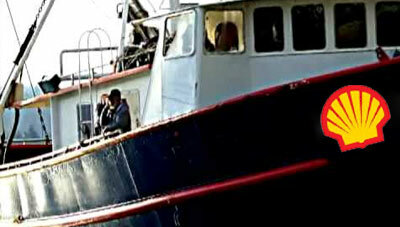 I hope this doesn’t happen to Nordsee, being a fan of their fish. This is the final detail of the naming process, yet it can bring you where you started. Today, there are more than 300,000 trademarks, just in the United States. If you are creating a name yourself, make sure you check your favourite names with a lawyer who has experience in intellectual property. If you are outsourcing the naming process, make sure you choose a naming company that does at least a preliminary trademark screening. Anyway, if you have plans to build a business operating in an area larger than your neighbourhood, your name should be trade-markable. Some companies forget that a brand name is not just something you can put on every product out there. A brand name carries a certain emotion, an idea. So, it has to be the right idea. Remember that once your brand is built, that idea will become the brand itself. During the naming process, you can ask people from your target group to tell you what your favourite names make them think of. Focus groups would be even better. It’s always fun seeing what associations a name can evoke. These associations should be positive and relevant. No other option. Suggestive or enigmatic. The suggestive name speaks for its industry, while the enigmatic name needs a speaker. The perfect name is either obvious or mysterious. If you choose to be mysterious, you will have to create a mysterious story behind your brand. There are theories of different types of brand names, for instance, the “trademark distinctiveness” divides names into 5 types: fanciful (coined names with the classic example of Kodak), arbitrary (meaningless context names, two of the greatest being Shell and Apple), suggestive (names like the catchy Dropbox), descriptive (names like the beloved Milka) and generic (common names that cannot be trademarked). If you ask me, I would drop names like Dropbox and Milka in the suggestive box and all the rest – in the enigmatic box. As simple as that. Competition also plays an important role in brand naming. It is easy to come up with a name that sounds different from the competitors’ brands. The hard job is to develop a brand name that sounds different and better at the same time. This is where naming starts to look like art, as namers have to find the golden balance between the totally obvious and the totally new. Business owners are always after a name that is catchy and unique at the same time. However, just a small part of them have the courage to deviate from the mainstream. Be bold on this one. Now, this is where naming goes from art to magic. Even if you follow all the directions above, there is still a risk you may end up with a name that nobody would love. “Somehow, it just didn’t strike me as a great name”, they would say. The truth is names are subjective. This is what makes naming so exciting. You have to feel that THIS is the right name for you. People get personal with names. The process of naming your business is pretty much the same as the process of naming your child. You just know if it is the right one when you say it. Hence, don’t forget to say the names out loud when you make that choice. Brand naming can be fun and it can also be exhausting. For naming companies, it is an exhausting fun. The good news is that naming is crucial for your business success yet it is not that expensive to outsource. And maybe you are a born namer – make a try with these 7 rules in mind. It is fun the first few days, I promise. Attraction marketing is a relatively new marketing concept. You can use it to draw potential customers, who also happen to be interested in what you sell, to your brand. Combined with the ever-expanding power of the Internet, attraction marketing can be a phenomenally powerful asset. Traditional marketing strategies such as running radio and television commercials tend to become less effective over time. As customers are bombarded by these non-stop advertisements, they become less sensitive to them. In fact, while traditional marketing ploys may increase sales over the short term, they can contribute to a phenomenon known as “brand fatigue” over the long term. Brand fatigue refers to the tendency of customers to lose interest in a given brand after being exposed to it for an extended period of time. Traditional marketing increases brand fatigue and decreases interest by bombarding customers with impersonal, outrageous, occasionally misleading, and often flat-out annoying advertisements. These one-size-fits-all messages must be—but seldom are—exemplary to stand out from the crowd and deliver stellar results. To achieve this, there is a better alternative. Attraction marketing deviates from the beaten path in that its main goal is to demonstrate to potential clients a brand’s worth by providing a valuable product or service for free. In the Digital world, for instance in business to business, this can take the form of a company or individual giving away valuable insights in the form of a digital book. To master attraction marketing, you must study your demographic. You must learn what they want, and then demonstrate that you have it. This doesn’t have to mean giving away your entire inventory. The idea is to give them something of value, while leaving something of even more value off the table. Making this information freely available on a website, and then using sound SEO principles to rank highly in major search engines, means that you won’t have to bombard people with advertising that they likely won’t be receptive to anyway. Your customers will come to you, hungry for the information that you have to offer. Platforms like Facebook and Twitter are saturated with users who share links to sites with valuable information. When you foster goodwill between your brand and your prospective customers by offering a high-value report, blog, book, or newsletter, you stand a good chance of getting a mention from these users. This highlights the importance of coupling attraction marketing with a strong, active social networking presence. By creating a profile for your company on these sites, you will give fans and satisfied customers a place to direct potential leads to. Don’t forget to leave links to your social networking profiles in your free ebook, report, or newsletter. By doing so, you can create a self-perpetuating cycle in which new customers discover your brand and old customers promote it. New attraction marketers often make the mistake of not spending enough time actively participating in communities surrounding their niche. You can overcome this tendency by joining forums that are related in some way to the product that you are selling. The stronger the relationship, the better. Post insightful answers to questions while letting your forum signature promote your brand. Demonstrate to members of the community that you are a leader first and a business second. A forum signature containing a link to your site accompanied by a good answer can do more for your business over time than paid advertising. Secondly, you must take care to properly identify what your market wants. If the solution that you offer them is not a valuable proposition, it won’t matter how much of it you are offering for free. 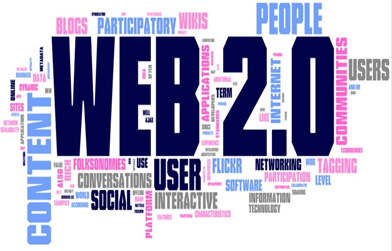 A great place to start is at the forums that you have identified. Look for threads that are posed as questions, and watch out for questions that are posed again and again. These indicate potential shortages of supply in the market, that is, information that is desired but not available. 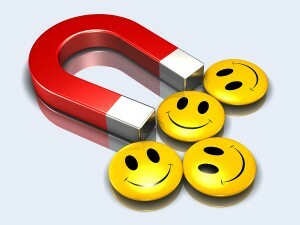 Successful attraction marketing hinges on creating relationships, demonstrating value, and delivering on promises. While you may have to put more work into it than you would for radio ads or Internet banner ads, the potential long-term benefits of an effective attraction marketing campaign can outweigh any short-term benefits seen with these traditional marketing methods. The bounce rate of your website is potentially one of the most valuable pieces of information that you can take from website analytics, especially when spending a sizable budget on search engine optimisation (SEO) and pay per click (PPC) marketing. Overall the website analytics provide vital information in relation to your websites usage, number of visitors to your site, page views, visitor clicks, countries visitors are from, how the visitors got to your page, the list goes on. 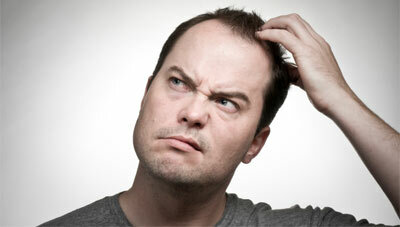 The task of studying the website analytics can also provide some confusing reading to most. While examining the website statistics, you may have noticed a bounce rate (as a percentage of all visits) to pages on a website. Firstly what is a bounce rate and why should you care about this statistic? 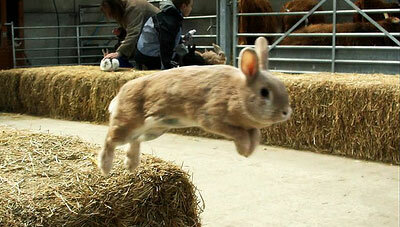 Secondly how can you reduce the bounce rate and increase time spent on the website? 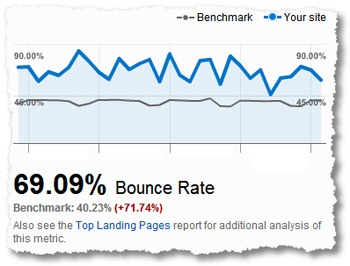 What is a bounce rate and why should you care? 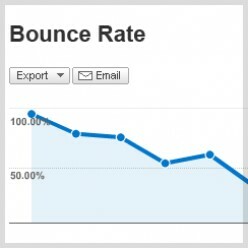 To answer why you should care about the bounce rate, first we must answer what it is. In simple terms, it is whether users bounce onto your site and off again (without visiting any other pages), spending none or a very little amount of time reading or interacting with your website’s content. The bounce rate (without visiting any other pages), is difference to the exit rate. Some seem to use the terms interchangeably, however to clear up any confusion the exit rate refers to users who have previously visited other pages and then leave the website. So why should you care, does this percentage actually matter? Yes, it matters a great deal (especially in the post penguin era). It signals to Google that the users needs were not met by your website, this matters to your visitors and to your crucial SERP (Search Engine Ranking Position). It signals and provides Google with two vital pieces of information, the ‘relevancy of search query’ and ‘quality of content’. When you appear in the results for a search term, for instance “Best Nike Football Boots”, if a user clicks through to your site and what they see is an article regarding something unrelated, they simply click their back button. What does this mean to Google? Well firstly Google presented its search results of which they deemed relevant, a user clicked a link, then clicked back (Google knows they are back), hence the content was not of relevance or interest. The user then clicks more results (below yours) and spends 10 minutes reading a page, before Google detects they are back searching again. If this is repeated multiple times by multiple searchers, which website will start to be deemed more relevant? 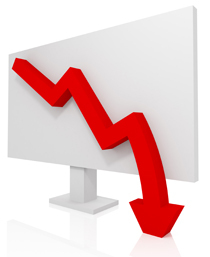 If the bounce rate for your page is high or time on page low, it indicates two possibilities. Low quality content or non relevant article to the search query, this being the case ensure that the page is targeting the correct audience for its relevance. If the bounce rate is high from multiple search queries, it then leaves low quality content as the biggest contender, indicating that the query may be relevant, but the content of the page is not worth reading. This being the case, you are seriously risking the integrity of your online brand, potentially creating negative brand equity in that consumers may associate your website with a waste of their time. So if your bounce rate is high, it it matters to you from the perspective of consumers, SERP, future visits, ultimately brand equity. How can I increase my time on site and decrease my bounce rate? Brands need to ensure that their first impression reels in the user to engage with their content, as high time on site and low bounce rate, will provide increased Google authority and in turn, SERP for terms relating to your niche. This is because Goggles main purpose (as a search engine) is to provide users with pages that are relevant, if users click your website and consistently spend a significant amount of time browsing they have achieved their goal. 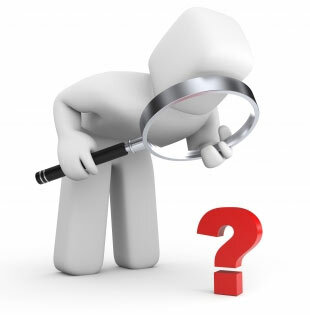 The visitor is also indicating that they have found what they are looking for and satisfied with the website. The likelihood of their return to the website also increases. 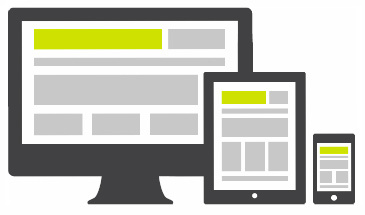 In order to achieve this, firstly ensure that your website follows the basics (a user friendly design). No matter how good the content and relevance, if the user can’t read or find it then it doesn’t matter. This includes ensuring that the website is both simple and clean, having a clear navigation and the content is immediately obvious to the user while the website layout is also responsive to the device being used. Once the basics have been satisfied, your content must be relevant and of the highest quality, something of value that your users will want to read it. It must be informative and insightful about a topic, while also ensuring that it is relevant and consistent with your site, brand and other articles. 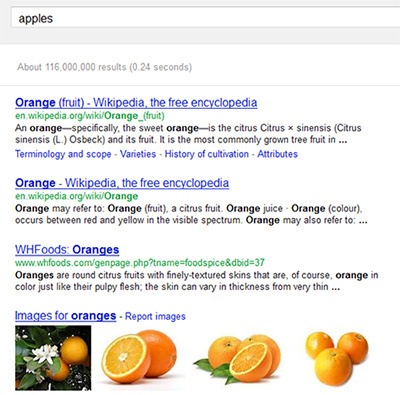 If your site is about Apples ensure that you stick to them (don’t talk about Oranges). Getting this mix correct, greatly increases the likelihood of user participation in terms of discussion and social mentions. Remember that if you are an authority site in your field, others will want to associate themselves with you, building authority for themselves. This results in increased non Google traffic and more users visiting (not bouncing) and reading your pages (increased time on site). In conclusion, post penguin, content quality is of vital importance to your search engine strategy and to ensure brand consistency, should be at the heart of your brand communication strategy. Unless you have been living in a bubble for the last year, chances are good that you have heard about the success of social media superstar site Pinterest. While brands and marketers have flocked to the site in an effort to build brand awareness, many Pinterest users neglect to connect their social media dots. Rather than relying on individual efforts on sites like Twitter, Facebook, and Google+, savvy social marketers are using Pinterest as a way of driving traffic to each of their brand building endeavors. Whether it is the company blog on Tumblr or your corporate videos on YouTube, using Pinterest as a hub for your social media efforts is essential to brand building. By being aware of the strengths of each social media platform, you can pin appropriate content to Pinterest in order to increase engagement. An excellent way to increase engagement on Facebook is to ask your fans to post images of themselves using your product or service. Each picture and accompanying blurb can then be pinned to a fan board on your Pinterest page. Seeing other customers pictured on your Pinterest pages encourages users to join the party and submit their own shots. In no time at all, your Facebook following will likely have grown. 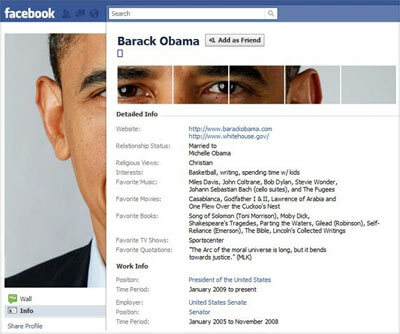 Encourage your Facebook fans to be creative and use humor in the images they post on your wall. When posting tweets to your Pinterest boards, be selective in the tweets you include. Rather than pinning every single Twitter post to your boards, choose only the most insightful gems. Not only does this encourage your Twitter followers to engage with your company on a truly meaningful level, it gives Pinterest users a deeper look into the personality of your business. The tweets you choose to include on your Pinterest pages shows users whether your company has a sense of humor, whether your company engages in charitable activities, or even whether you divulge special deals to your followers. If your company uses Tumblr to brand build, chances are you already know how well images work on Tumblr. (If you are not using Tumblr, what are you waiting for?) Save long posts of written text for your company website. The best way to build a following on Tumblr is to post plenty of images that offer a glimpse inside your business. From your latest product release to an insider’s view of your corporate lunchroom, for Tumblr users it is all about the pretty pictures. 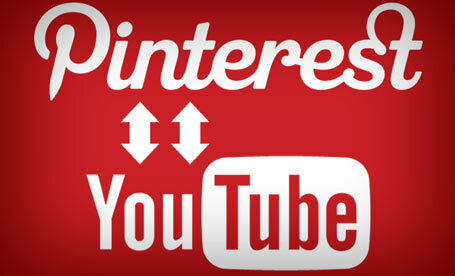 As another highly visual social media site, these images work extremely well on Pinterest. Just be careful not to pin everything from your Tumblr account to your Pinterest account. Leave users wanting more, so that they proceed to your Tumblr account to see what they might have missed. 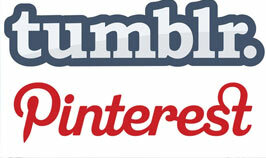 Engaging titles and tempting tidbits in your Pinterest descriptions will further drive viewers to your Tumblr account. Encourage users in your Google+ circles to post insightful comments on your Google+ page. As with Twitter, be selective as to which of these interactions you pin to your Pinterest boards. Google+ works well with corporate connections, so pinning strategically can build your business’ reputation as well as that of your chosen Google+ followers. When pinning company YouTube videos to Pinterest, pay close attention to comments made on your YouTube videos. Pin YouTube clips that help to fortify your brand’s reputation. Each time your firm posts a new video to YouTube, share the link to your social media network and encourage fans to post their insights on your YouTube page. Not only is this viewer engagement seen as a sign of quality by Google, it offers your business yet another way to interact with your user base. A negative comment need not discourage you from posting a particular video to Pinterest. Taking the opportunity to interact with a user in a thoughtful manner only serves to build your brand’s reputation in a positive way. By paying attention to the strengths of social media websites, your business can make the most of Pinterest by pinning appropriate content from each site. Be sure to identify your Pinterest link clearly on each social media website so that users fully understand their posts could potentially end up on your Pinterest boards. With ongoing effort, you can grow your following on each social media site you participate in while building your Pinterest reputation at the same time. Each social media site offers its own rewards; tying them all together in one spot furthers your business’ reputation as a socially savvy company. Many businesses make the mistake of believing social media are tools to win new customers. It’s certainly possible to win new business and new accounts with social media, but the focus of their use should be on building customer loyalty and engagement. If you carry out some simple analysis in relation to a customer and the business they give you, you may be surprised at what you learn. 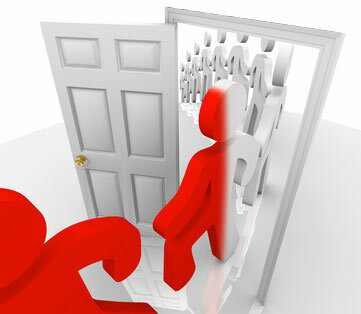 For most businesses, the cost of acquiring a new customer is far greater than that of retaining an existing one. A term some marketers use is the ‘lifetime value’ of a customer. Their initial order may only be worth a hundred pounds to you, but if you look after them and develop a relationship with them, they could be worth thousands of pounds to you. Social media are the perfect way to build relationships with your customers. They are also great tools to keep competitors at bay. If a customer trusts you and is happy with your products and services they are likely to stat with you. The only possible exception is the type of customer who is constantly looking for a better deal, and will move to a new supplier for a cheaper price. In the long run, these customers may not be worth the effort or cost of dealing with. Using social media to communicate with and engage your customers is an efficient and cost effective way to build loyalty. In certain industries, you can establish yourself as an expert by using social media. If you can achieve this, customers won’t even consider looking elsewhere. In other industries, the fast pace of change means you need a constant dialogue with your customers, and the likes of Twitter and Facebook are perfect for this. The following are three example of different types of businesses and how they might build customer loyalty using social media. Using Facebook and a customer email database, the broker could communicate news and updates relevant to customers’ insurances. For example, as winter approaches there are precautions a customer should take to protect their home. 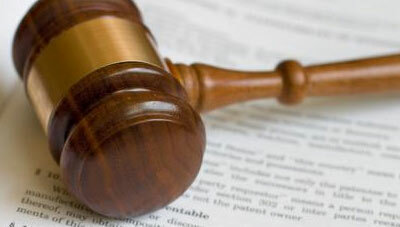 A change in the law could mean the customer needs to update their auto insurance. 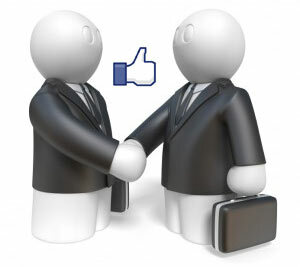 The broker’s Facebook page would become a source of advice and expertise the customer returns to. 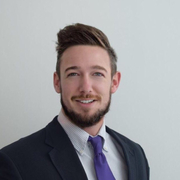 When it comes to renewal of their policies, the customer is less likely to move away from this broker offering free advice throughout the year. 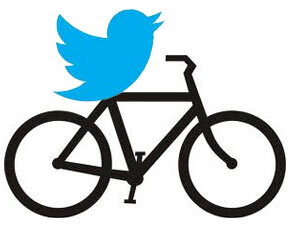 The shop owner could use Twitter to send news about cycling events around the world, such as The Tour De France. In between these messages, the owner could send brief updates on new products of interest to cycling enthusiasts. As well as building customer loyalty, the shop could attract additional sales by this regular customer contact. Facebook could be used to offer discount coupons to customers. Flyers in the restaurant could entice customers to sign up to the restaurant’s Facebook page to hear about these offers. There are many different ways this could work in practice, but a very simple way would be to communicate a word the customers must say when placing an order. This simple system could be used to attract customers back to the restaurant over and over again. Using social media for marketing doesn’t have to be complicated. Think about the ideas above and how they might be used to build customer loyalty in your own business. It costs more to attract new customers than to retain old ones. Customer loyalty is also beneficial for the company because repeat customers have a tendency to spend more and to promote your business to their contacts. It is therefore a good marketing plan to devote a substantial chunk of the company’s resources on ensuring that existing customers remain happy and satisfied. A happy customer tends to spend more. Fortunately, there are various social media tools available to make this task easier and more cost-efficient. First, it is essential to provide customer service assistance through various social media channels. Facebook, Twitter and other similar services are accessible venues for airing out concerns and raising questions about the company’s products and services. Responding through these channels make interaction more convenient for the customers, and it also provides you the opportunity to make your presence known online. 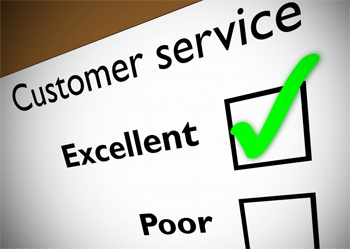 Good customer service always translates to customer satisfaction and higher revenue. Social media tools also add value to the customer experience. Engaging them in constant dialogue fosters and promotes a more personal relationship with them. 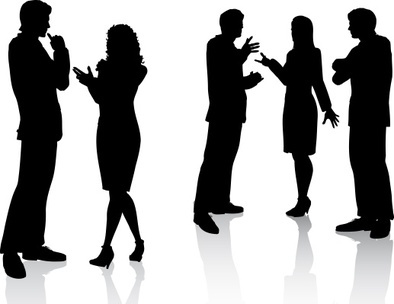 An open line of communication empowers them to provide positive feedback or even suggestions on how to make your company stronger and better. Customers are more comfortable with spending money on companies that they feel comfortable with. Providing your social media followers and subscribers with exclusive promotional deals will help make them spend more. 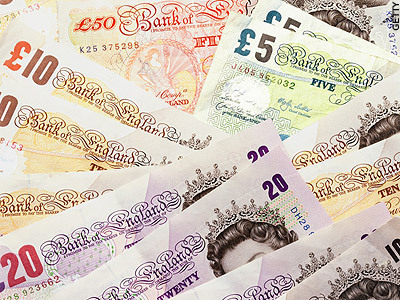 For instance, you can issue vouchers that will give a 10% discount for an accumulated one-time purchase of £100. This tactic encourages the customers to spend a total of £100 instead of the usual amount that they spend on your products or services. Another method of encouraging repeat purchases is by offering freebies or incentives to followers who make frequent purchases. 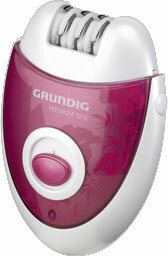 For example, you can give a 20% discount on the fourth purchase of the same product. You can also allow customers to accumulate points from every purchase and use these points to redeem interesting prizes. Customers love a good deal and are often willing to spend more in order to save more. Social media tools are great avenues for introducing other products and services to existing customers. All it takes is a simple photo or an interesting link. Without resorting to too much spam, you can use your tools to highlight certain services that would appeal to your client base. Start with products or services that complement the usual items that they purchase. The posts need to be relevant to the readers and should provide benefits that would interest them. In any social media promotion that you will engage in, you must always remember that the customer should be the primary focus. Posts and promotions should always have the best interest of the customer at heart. They should always find value in what you are asking them to read or they will lose interest and simply move on. Resist the temptation of giving too much information about your company or the product you are selling. It is your responsibility to find a good balance between showing them what you want them to see and keeping them interested. Businesses thrive because of the support of satisfied customers who keep coming back for more. Owners should learn to appreciate these repeat customers and give them more reasons to continue their patronage. Giving exclusive privileges through social media channels is a good way of making them feel valued. Contrary to popular belief, being able to take control of your online reputation is much easier that you might have previously expected. By following the simple tips provided in this article you can easily create a consistent brand message and online reputation. Before jumping in with both feet, you need to be sure of your current online reputation situation. Take an honest assessment of where you are at. You may have serious damage that you need to repair, or you may not have any reputation at all. Either way, you will need to find out where you are before you can begin to build on your reputation. Conduct several searches for the various names that you might use. 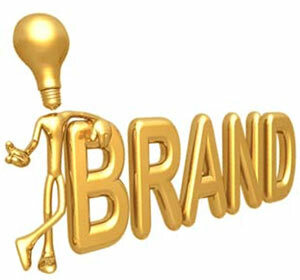 Search for your business name, your personal name or any other names that might be associated with your brand. You will want to focus on the first 2 or 3 pages of Google when conducting these searches. Most people who search online never look beyond the third page, so you won’t need to worry yourself about any results past that. Compile the results of this search into some sort of spreadsheet or other tracking device. You will want to refer back to this information as you begin repairing, restoring or working on your online brand message. Take the time to look over the information that you have just gathered. Identify any of the negative results and mark those your highest priority. Second to that, mark those incidents of positive feedback as potential promotional material. One of the easiest ways to build a solid brand message is to simply promote the good information that is being shared about you by other people. Of the results that you found, what sites were providing the most information? For example, of the sites that ranked the highest, were they social media sites or were they sites found within the blogosphere? Are you getting a lot of attention on Youtube? Find out where the majority of the information about you is being shared. You will want to focus your own efforts in these areas. Failing to plan is planning to fail. Be sure that you take the time to craft a strategy that works with the information that you have gathered thus far. If you have received negative reviews within the social network Facebook, then spending too much time on Youtube would be a strategy to avoid. Build your strategy based around your areas of need. You might need to create more blog posts, press releases, videos or articles for directories. Whatever it is that you need to do, plan it out first. Planning is nice, but execution is everything. By now you should have a solid plan in place to take control of your brand message. If you feel that executing your plan is something that you are unable to do, then it is time to call in the hired guns. A reputation management company will help you to create content, promote it via the various search engines and help take control of your online brand messaging. Taking control of your online reputation is a critical part of doing business in the 21st century. By following the 5 simple steps outlined in this article, you will be well on your way to taking charge of your reputation and building a lasting, professional image. If you have a blog, a Facebook profile, a Twitter account or online presence of any kind, you are a brand, whether you like it or not. No matter what your field of choice, you need to leverage the internet to build your personal brand if you want to get noticed in this fast paced world of up to the minute updates and blogs. If you don’t have the first clue about how to build it so they will come, use these five tips to help guide you on your way. You are unique, just like everyone else. Most people gain understanding of who and what their fellow human beings are all about by categorising them using different labels. For example, if your online persona is fun and upbeat, you are labelled as, “the funny one,” if your updates and blogs are motivational in nature, you become “the positive one.” You have to think about what you want your personal brand to say about you, and then go with it. Consistency is key to building your brand, no matter who you are. That isn’t to say that just because you are labelled as the “funny one” you cannot post updates that are serious or well thought out in nature, but you need to be aware of your audience and why they keep coming back, especially if you are working social media angles. Above all, be yourself. If you are fake, you will be found out eventually. Building a brand is like building Rome, and Rome was not built in a day. Building a brand takes time. How much time, however, is in your hands. You are in control of your exposure. It could take weeks, months or years; it all depends on you. 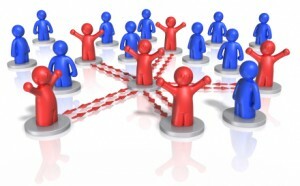 Network, meet new people online and don’t be afraid to interact with them and ask questions. Remember, you are new at this and you don’t know everything. The more you put in to your brand, the more you get out of it. Your first few posts or blogs probably won’t get much attention. It isn’t until your audience feels as if they know you that you become familiar, and eventually graduate into becoming a household name. Don’t give up. Be patient. 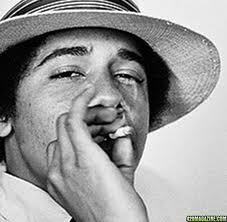 Photos can hurt (Obama smoking pot) or help. Pictures are worth a thousand words and they say a lot about who and what your brand is all about. Be mindful of the photos you share or are tagged in online, because they are all absorbed as part of your brand. Less is more. When blogging or even when updating a Twitter status, keep it short, sweet and to the point. The more superfluous and wordy your updates and blogs, the less likely you will be to hold the attention of a busy, bustling audience. Say as much as possible using as few words as conceivable. Summarise, don’t eulogise. Be smart, be savvy, be consistent and you will find your brand is not only successful, but built as a labor of love as you blog from the heart. Twitter is one of the best ways of promoting your business or profession. It is widely used by millions of people across the globe, and it is a great way of making people know about the products and services that you offer. Your success on Twitter depends on the number of followers that you have. 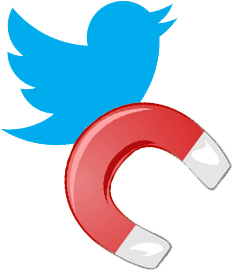 Each Tweet or status message can reach hundreds or even thousands of potential customers. The most basic rule in using social media tools is to have great content. Even the shortest posts need to be informative and should appeal to your target audience. Give them a reason to want to keep reading. Make it a practice to provide useful information that they can apply to their lives. Tweet on a regular basis to make you visible to your followers, but never overdo it. It is irritating to find multiple tweets from the same person. Some people want their timelines clean, and flooding them with random posts will surely prompt them to “unfollow” you. Unless you are a popular actor or a famous person, avoid posting Tweets about yourself or about insignificant things. Nobody wants to know that you are waiting in line at the local fast food joint. Nobody cares if you are about to sleep or about to bring your dog to the park. Followers want to read posts that will appeal to them. They should be the primary audience of your posts. Build great relationships with your followers by responding to their tweets, re-tweeting their posts, or sending direct messages. This encourages them to reciprocate and to respond in turn. Having a good connection with your existing followers is an effective way of making your presence known to their followers. Take the time to write a comprehensive profile that gives an idea as to who you are and what you are interested in. The profile page is one of the first things that people look at before they decide to follow a user. Make yourself sound interesting, and upload a photo that best represents you or your business. Like you, other people will try to build their audience. Some users promise to follow back people who follow them in Twitter. Use the “Search” functionality of Twitter and locate people in your niche market. Follow them and wait for them to follow back. Do note, however, that Twitter has strict guidelines and limitations on the number of users that you can follow. Promote your Twitter profile by adding your link or username to your existing websites, social networking sites, email signatures, and calling cards. The idea is to have as many people know about your account as possible. If your target market is limited to a particular geographic location or time zone, then it would be wise to be active during peak times. Posting status messages during lunch breaks and after dinner would increase the likelihood of your posts reaching a bigger audience. It will be pointless to post your Tweets at two in the morning when almost everyone is fast asleep. 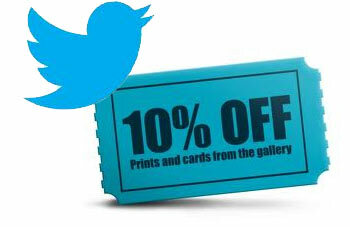 Attract attention by providing discounts or special offers that are exclusive for your Twitter followers. This will make your account more interesting to them. It takes a lot of hard work and effort to build up a big list of followers. On a final note the key is to be committed to the task, you need to make sure that you update your page on a regular basis and you need to keep your followers interested. 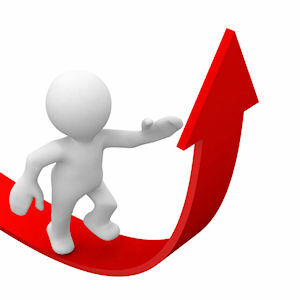 But once your mechanism is up and running, it will be much easier to reach out to potential customers.